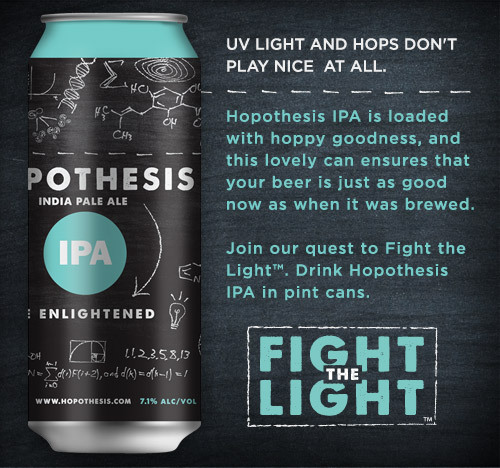 Be enlightened with us at Hopothesis Beer Company™. At Hopothesis, we’re relentlessly focused on making great craft beer that delivers a flavorful, approachable, balanced drinking experience for geeks and non-geeks alike. Whether it’s STEM or 1990’s sport trivia – we love to be enlightened. Since nothing beats a well-crafted conversation over a well-crafted beer, we decided to officially merge the two.